The idea behind TuckINTEL is to offer an experience that helps students integrate the key insights from their first year. In 1974, Tuck professor James Brian Quinn, the William and Josephine Buchanan Professor of Management Emeritus, came up with an idea that would challenge students for the next 26 years. He called it Tycoon: the Tuck Management Game. The idea was fairly simple: students formed teams and simulated the process of acquiring and running a business in the clock-making industry. At the end of the week-long exercise, teams were evaluated on metrics such as productivity, return on investment, and market penetration. The game was phased-out in the early 2000s, but it is remembered by many Tuck alumni as their first chance to think like a senior-level business person. Kopalle developed the course with Richard Sansing, associate dean for faculty and the Noble Foundation Professor of Accounting, and their first step was to interview all the faculty who teach core courses. They compiled the most important lessons from the courses and then worked with John Thomas T’80 of the Regis Company to build a four-day computer-aided exercise that incorporates key elements of finance, accounting, marketing, communications, statistics, economics, decision science, strategy and management, and operations. Thomas came back with three possible business scenarios. Kopalle discussed one of them, based on developing a market for urban wind power generation, with Erin Mansur, the Revers Professor of Business Administration and the faculty director of the Revers Center for Energy. 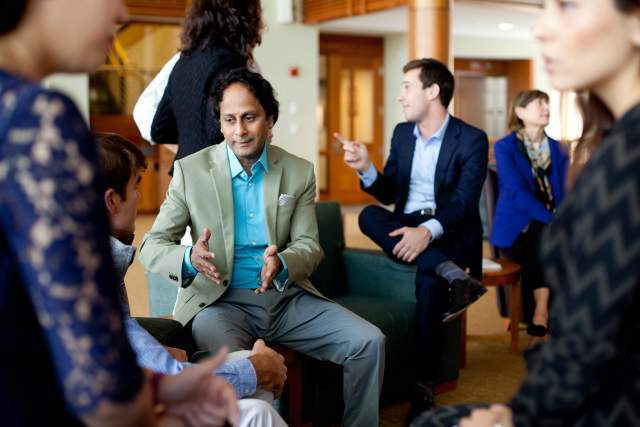 Mansur then connected Kopalle with Jeph Shaw T’15 of Hanover-based New Energy Capital. 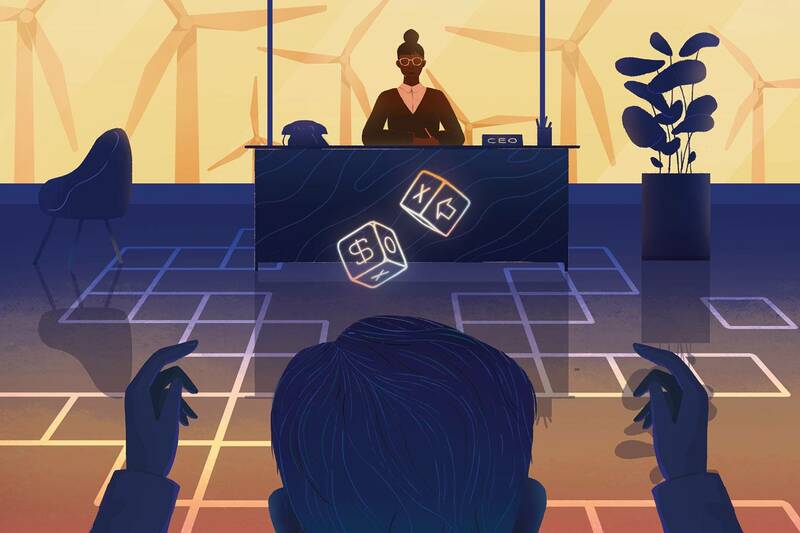 With Shaw’s help, Kopalle and Sansing created a realistic case study where students are running companies competing to bring the fictional Twists & Undulates Currents Kinetically (TUCK) NextGen Turbine (TNT) to market. Kopalle and Sansing ran two pilots of the simulation in April and May, then revised it and will run the real mini-course at the end of November. During the course, teams of four or five students run a company for an accelerated multi-year timeframe. Each year constitutes a period of decision making about such areas as marketing and communication, strategic priorities, timely production, economic analysis, cash requirements and funding, presentations to the board, team excellence, and personal leadership impacts. Students evaluate relevant data and input their decisions into the Regis online platform by a given deadline. The algorithm then computes the impacts of the decisions of each team and delivers results in the form of performance metrics. At the same time, Kopalle and Sansing, along with a few other core faculty, are monitoring team dynamics and discussions, answering questions, and debriefing with students about their results. Like Tycoon, TuckINTEL is custom creation for Tuck students, and thus different from anything offered at other business schools. Kopalle explains why. “At Tuck, we have a unique combination of scale, focus, and community to pull this off,” he says. 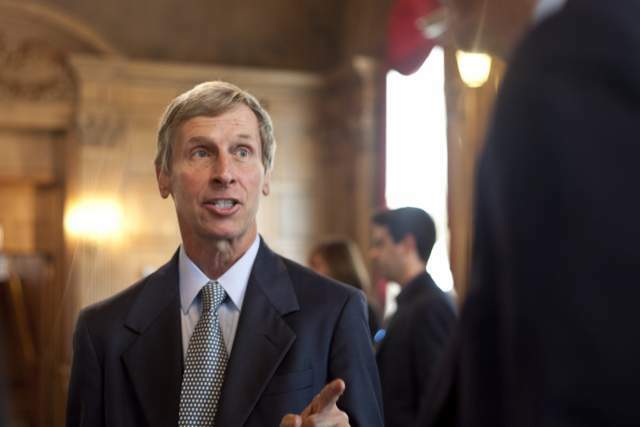 Former New Hampshire governor John Lynch takes students inside the mind of the CEO.